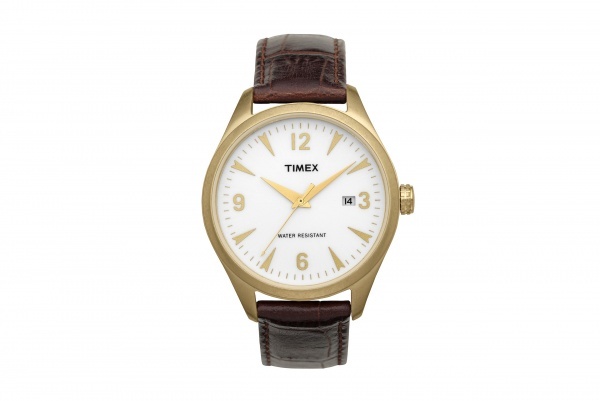 Timex goes into its archives to find the new killer design with this ’50s Vintage’ leather strap watch. An ultra basic wristwatch, this gold tone watch pairs well with the brown leather strap, producing an earthy, warm feeling watch. A simple, practical watch, for guys who don’t need their watch to prove anything. Available online now.